This adorable My Neighbor Totoro Totoro 16 oz. Water Bottle opens with a single push of a button. Its easy-to-carry shape and light weight make it simple to stay hydrated on the go, and the bottle's wide opening makes it easy to include ice cubes. 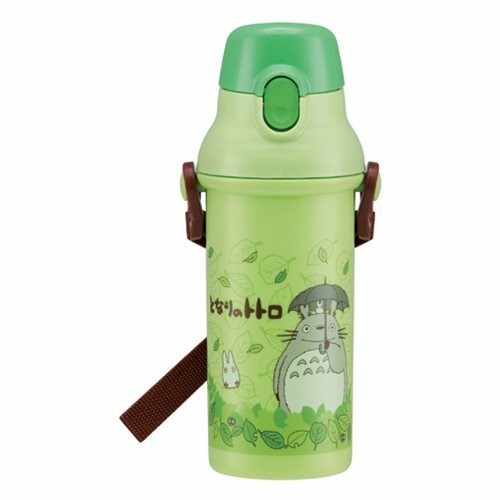 This bottle is a must have for Studio Ghibli and My Neighbor Totoro fans. Dishwasher safe. BPA free. This is a high-quality product made in Japan. Ages 15 and up.